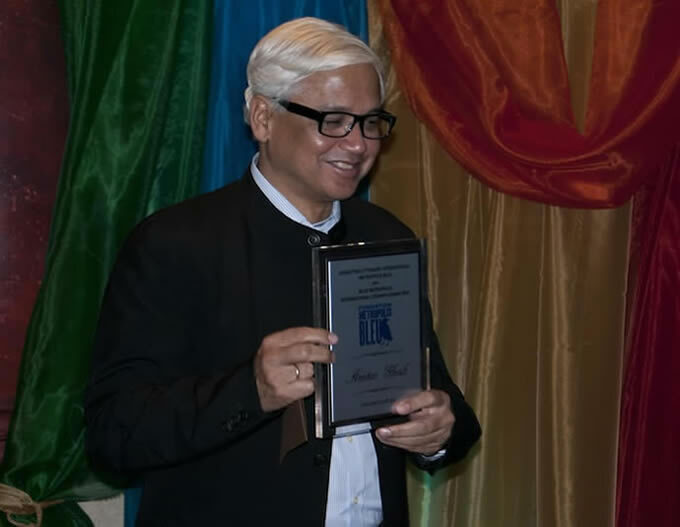 Amitav Ghosh was born in Calcutta on 11 July 1956 in a Bengali Hindu family, to Lieutenant Colonel Shailendra Chandra Ghosh, a retired officer of the pre-independence Indian Army. His first job was at the Indian Express newspaper in New Delhi. Ghosh lives in New York with his wife, Deborah Baker, author of the Laura Riding biography In Extremis: The Life of Laura Riding (1993) and a senior editor at Little, Brown and Company. They have two children, Lila and Nayan. He has been a Fellow at the Centre for Studies in Social Sciences, Calcutta and Centre for Development Studies in Trivandrum. In 1999, Ghosh joined the faculty at Queens College, City University of New York, as Distinguished Professor in Comparative literature. He has also been a visiting professor to the English department of Harvard University since 2005. 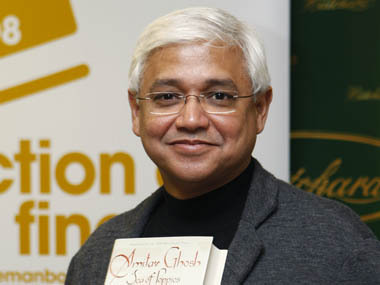 Ghosh subsequently returned to India began working on the Ibis trilogy which comprises Sea of Poppies, River of Smoke, and Flood of Fire (published May 2015). He was awarded the Padma Shri by the Indian government in 2007. In 2009, he was elected a Fellow of the Royal Society of Literature. In 2015 Ghosh was named a Ford Foundation Art of Change Fellow. Ghosh’s notable non-fiction writings are In an Antique Land (1992), Dancing in Cambodia and at Large in Burma (1998), Countdown (1999), and The Imam and the Indian (2002, a large collection of essays on different themes such as fundamentalism, history of the novel, Egyptian culture, and literature). His writings appear in newspapers and magazines in India and abroad. Awards and recognitions The Circle of Reason won the Prix Médicis étranger, one of France’s top literary awards. The Shadow Lines won the Sahitya Akademi Award & the Ananda Puraskar. The Calcutta Chromosome won the Arthur C. Clarke Award for 1997. Sea of Poppies was shortlisted for the 2008 Man Booker Prize. It was the co-winner of the Vodafone Crossword Book Award in 2009, as well as co-winner of the 2010 Dan David Prize. River of Smoke was shortlisted for Man Asian Literary Prize 2011. The Government of India awarded him the civilian honour of Padma Shri in 2007. Ghosh famously withdrew his novel The Glass Palace from consideration for Commonwealth Writers’ Prize, where it had been awarded the Best Novel in Eurasian section, citing his objections to the term “Commonwealth” and the unfairness of the English-language requirement specified in the rules. Subsequently, he landed in controversy over his acceptance of the Israeli literary award, the $1 million Dan David Prize.